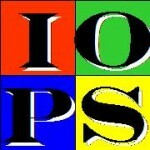 Tom Coughlin of Coughlin Associates and Yours Truly: The SSD Guy are once again polling as many IT professionals as we can with a very simple 5-minute survey asking about your IOPS needs. This is an update of the same survey we ran in 2012. We want to see how things have changed over the past four years. Please click HERE and let us know what kind of storage performance you need. Even a hunch is good. Something that has been confusing a number of people is the performance of Intel’s 3D XPoint-based SSDs. Why are they so slow? Let me back up a little – they’re not really slow. When Intel compared its standard NAND flash based PCIe SSD to a similar SSD based on 3D XPoint memory, the XPoint model ran 7-8 times faster, which is very impressive. Intel demonstrated that at the Intel Developer Forum (IDF) last August and several times since then. But Intel and Micron have been boasting since its introduction that 3D XPoint Memory is 1,000 times as fast as NAND flash. How do you get from a 1,000 times speed advantage down to a speed improvement of only 7-8 times? What is an SSD Trim Command? What is SNIA’s Persistent Memory Programming Model? Jim Handy on Are SSDs Approaching Price Parity with HDDs? Peter M on Are SSDs Approaching Price Parity with HDDs?